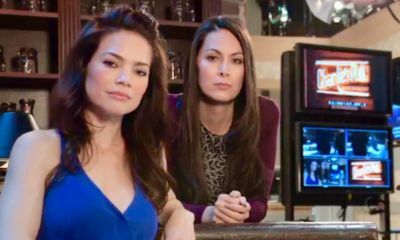 If you missed this week’s Wednesday night’s broadcast of Soap Nation Live! 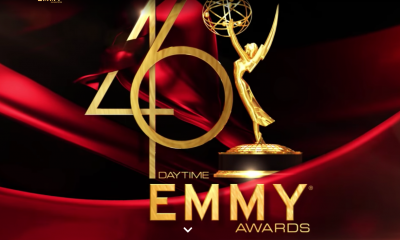 with Michael Fairman‘s fifth annual Daytime Emmy Award Nominations special, you can listen to the replay of the episode right here! After the nominees were announced for the 45th Annual Daytime Emmy Awards earlier in the day on The Talk, several of the nominated daytime drama performers celebrated and participated in this two-hour plus lively and entertaining kick-off to the Daytime Emmy season via the live-streamed radio broadcast. 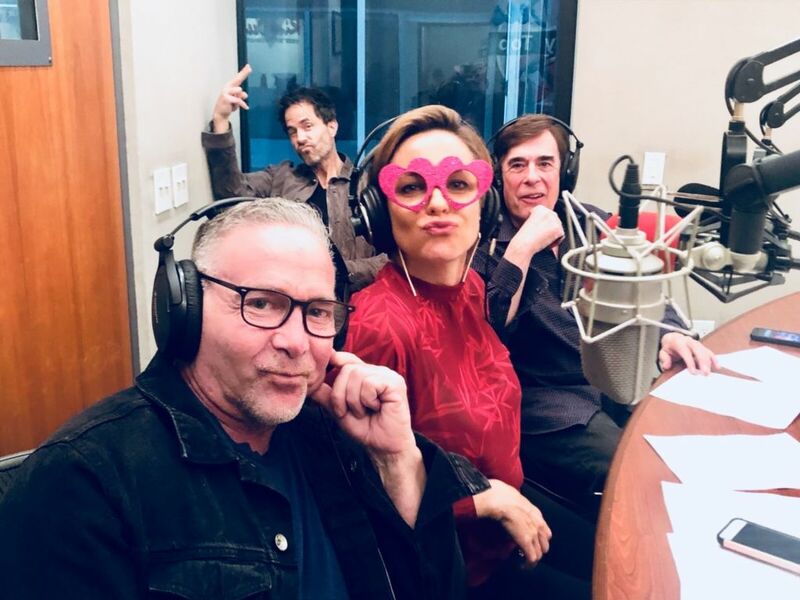 Joining Michael in-studio for the third year in a row were his very special co-hosts: Daytime Emmy winner and Lead Actress nominee, Laura Wright (Carly Corinthos, General Hospital) and NATAS’ SR VP Daytime Emmy Awards, David Michaels. 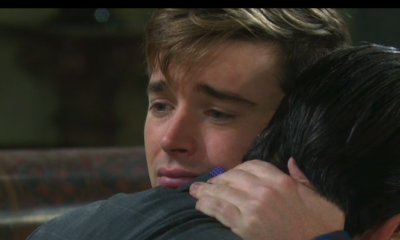 During the broadcast Michael, Laura, and David chatted with many of our favorite soap stars, and heard their reactions to the news that they are going for gold on April 29th. In additions, listeners gleaned some insight into what the actors chose for their Emmy submissions, learned many backstage tidbits, and much more. Emmy-nominated call-in guests included: Outstanding Lead Actress nominees: Maura West (Ava, GH), Nancy Lee Grahn (Alexis, GH), Eileen Davidson (Ashley, Y&R) and Marci Miller (Abigail, DAYS), Outstanding Lead Actor nominees: Michael Easton (Finn, GH), and John McCook (Eric, B&B), Outstanding Supporting Actor nominees: Greg Vaughan (Eric, DAYS) and Chandler Massey (Will, DAYS), Outstanding Supporting Actress nominees: Camryn Grimes (Mariah, Y&R) and Susan Seaforth Hayes (Julie), Outstanding Younger Actress nominees: Chloe Lanier (Nelle, GH), and Hayley Erin (Kiki, GH), Outstanding Younger Actor nominee: Casey Moss (JJ, DAYS), and Outstanding Lead Actor in a Digital Drama Series, Van Hansis (Thom, EastSiders). During the live broadcast, some listeners were able to make it through the busy phone lines to talk to the stars.. Towards the end of the special, one caller won two tickets to the Daytime Emmy Award ceremonies. Find out what happened when Michael posed 3 questions to callers who were trying to win. Now after the jump, listen to Soap Nation Live! with Michael Fairman Daytime Emmy Nominations Special 2018. Then let us know what was your favorite part of the show in the comment section below. THE YOUNG AND THE RESTLESS: Victor and J.T.’s Clash Leads To Devastating Consequences! Great interviews with the nominees. Love hearing these every single year! I enjoyed the interviews and comments. I wish it was video and not video. Tonight on Soap Nation Live! with Michael Fairman,we celebrate the just announced 46th Annual Daytime Emmy Nominations with our sixth annual broadcast. 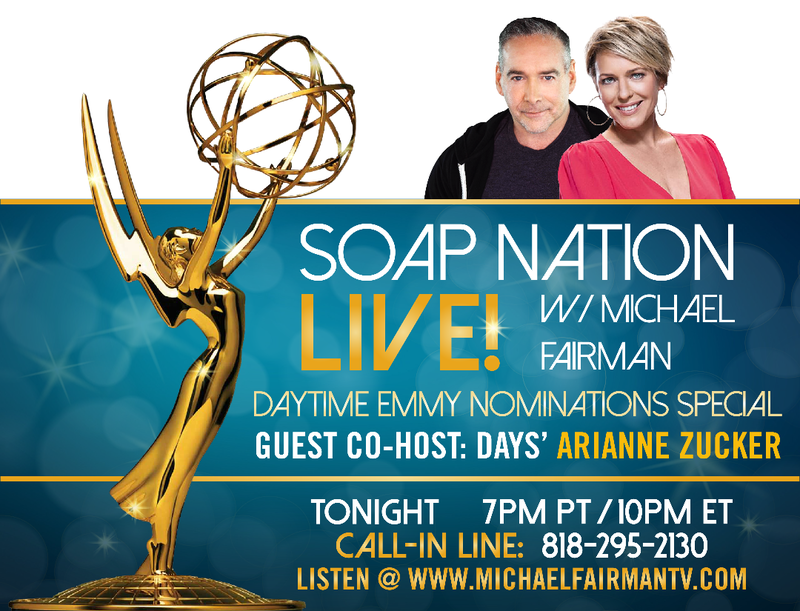 Join Michael and his in-studio co-host Days of our Lives‘ Arianne Zucker (Nicole) for our 90 minute plus Daytime Emmy Nominations spectacular as we chat it up with some of the actors who will be going for gold on Emmy night on Sunday, May 5th. Arianne and Michael will be joined by NATAS Senior VP Daytime Emmy Awards, David Michaels who will be on hand to offer commentary on the Emmy voting and more. Listen in as we welcome nominees: Tyler Christopher, Peter Bergman, Beth Maitland, Marci Miller, Maura West, Laura Wright, Chloe Lanier, Billy Flynn, Brytin James, Eric Martsolf, Martha Madison and many more! This special live-stream begins at 7PMPST/10PMEST. You can also head on over to Soap Nation’s Live official show page at Spreaker.com if you have any trouble listening to the show here. If you are tuning in shortly before 7PMPST, you will hear some musical interludes before we go live for showtime. We hope you enjoy the show. In addition, NATAS Sr. VP Daytime Emmy Awards, and executive producer of the ceremonies, David Michaels will be a guest giving us insight into the just completed Emmy competition, and what to expect at this year’s show. And listen-in for our “Game Show Trivia” segment where we will be giving away 2 pairs of VIP tickets to Coastal Entertainment ‘s upcoming event in Philadelphia on May 4th, “Teals Got Talent” This GH Fantasy Event features: GH’s Michael Easton, Lynn Herring, John J. York, Kathleen Gati, and former GH favorite, Rebecca Budig all to benefit the Sandy Rollman Ovarian Cancer Foundation. The Foundation works every day to fund cures and foster community, and does so by supporting women fighting ovarian cancer and the friends and family who love them by standing together with every single person touched by ovarian cancer. To date, they’ve invested more than $4.1 million in research through grants to scientists throughout the country. Soap Nation Live! is proud to support this worthy cause. If you want to call-in to speak to the hosts, or nominated guests during our Daytime Emmy nomination special, please dial the exclusive listener line at 818-295-2130. Throughout the broadcast, also visit the Michael Fairman TV official Facebook page for fun video updates direct from the studio, and keep abreast of what’s happening in the studio, and who is chatting with us live via @michaelfairman twitter account throughout the show. 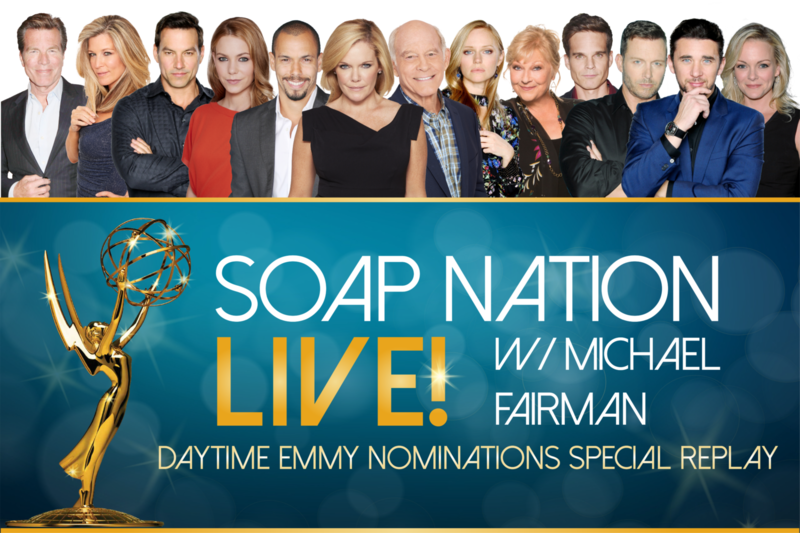 Make sure to come back a few minutes before showtime and check the Michael Fairman TV homepage for the post with the Soap Nation Live! broadcast, settle in and enjoy our annual nominee-fest. If you have a question you would like us to ask on tonight’s show, you can post it in the comment section below, and we may just ask it on air.